London (/ˈlʌndən/ (About this sound listen)) is the capital and most populous city of England and the United Kingdom. Standing on the River Thames in the south east of the island of Great Britain, London has been a major settlement for two millennia. It was founded by the Romans, who named it Londinium. London's ancient core, the City of London, largely retains its 1.12-square-mile (2.9 km2) medieval boundaries. Since at least the 19th century, "London" has also referred to the metropolis around this core, historically split between Middlesex, Essex, Surrey, Kent and Hertfordshire, which today largely makes up Greater London, a region governed by the Mayor of London and the London Assembly. Here we recommend some sightseeings to you, which are not the final arrangements. Tower of London--- With nearly 1,000 years of history, the Tower of London is at the top of almost everybody’s list when they come to London. However, far from being just a singular Tower, Her Majesty’s Fortress, the Tower of London is a series of buildings, towers, turrets, and walls. The first thing you should know is that this location gets very busy during weekends. The best time to visit is definitely during the weekday, but even then you should probably arrive early in the morning to beat the crowds. St. Paul’s Cathedral---Dominating the London skyline for centuries, St. Paul’s Cathedral has remained a beautiful landmark on the capital’s horizon to this day. With a varied history spanning back to 1666, and playing host to many important events in the United Kingdom’s history (including the iconic wedding of Lady Diana Spencer to Charles, Prince of Wales), St. Paul’s acts as a site of worship, a tourist attraction, and a top-of-the-agenda item for visitors from all over the world. St. Paul’s Cathedral is located within the City of London. It’s central location means that you can reach it by various London Underground stations as well as bus lines. The nearest Underground station is St. Paul’s (Central line). The cathedral is also within walking distance from Mansion House (Circle + District lines) and Barbican (Circle, Hammersmith and City and Metropolitan lines). Bus Nos. 4, 11, 15, 23, 25, 26, 100, 242 all stop at or near the cathedral. The 17:00 weekday services and the 15:15 Sunday service contain the Choral Evensong. These services are sung by boys and gentlemen’s choirs that feature some of the most enchanting, haunting and impressive church performances in the world! London Bridge---One of the most well known bridges in the world, London Bridge rests on a site that has held a crossing over the River Thames for nearly 2,000 years! Although most London visitors often confuse London bridge with Tower Bridge, the current London Bridge is worth a visit on its’ own merits – even if just because it offers a great view down the river to Tower Bridge! Best of all, it’s a free attraction. Although the Romans erected a bridge on this site, it is the medieval London Bridge that sticks in popular memory. Now known as “Old London Bridge” the medieval structure dated back to 1176 and stood on this same site until it was finally demolished in the 18th century. Old London Bridge was not just a bridge, but much more as it held numerous buildings on top – shops, pubs, houses and even a church! Also on top were 30 spikes, legendarily displaying the severed heads of traitors against the crown. A German visitor to London in 1592 reported seeing up to 34 heads on display at a single time. Notable figures who received the ultimate punishment here include William Wallace and Thomas More. Although officially the practice of heads on spikes on the Bridge was abolished in 1678, reports of heads on spikes continued until the early 18th century. Some say this is the very reason that traffic in Britain always drives on the left! Also around this time, a bridge in Putney was opened, ending London Bridge’s reign as the ONLY crossing over the river in the capital – a title it held for over 1,700 years! Big Ben---For millions of visitors the world over, London is represented by a single iconic building: Big Ben. Probably the most recognisable clock in the world, Big Ben in London has been ticking 16 stories above the street since May 1859 and boasts the largest four-faced chiming clock in the entire world! But perhaps it would surprise you to hear that although we all know Big Ben – this massive clock tower is actually officially named something completely different! 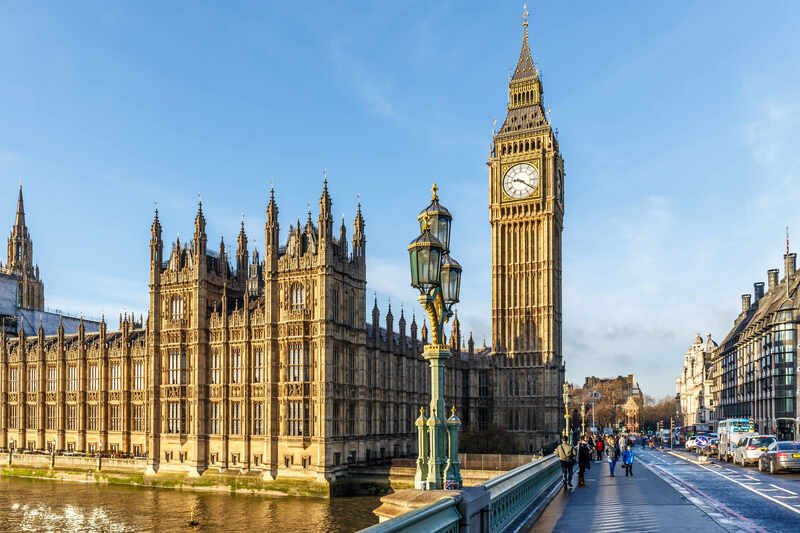 Read on for some fascinating facts about this most beloved of London’s landmarks and learn how some of you can tour Big Ben (official tours suspended until 2021). 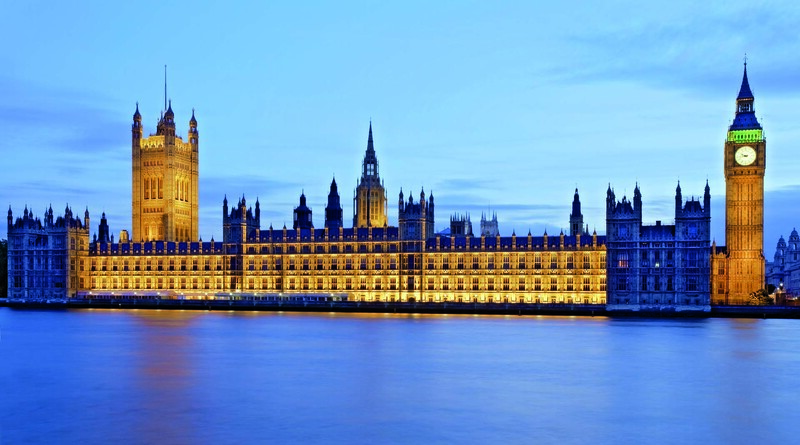 Big Ben is located in the City of Westminster in the heart of London. Due to its central location, it is within walking distance to several other London attractions, such as Buckingham Palace, 10 Downing Street, the London Eye, the Houses of Parliament, Westminster Abbey (read our tip on free entry) and many others. The nearest Underground Station is Westminster (Circle, District and Jubilee lines). You could also access Big Ben from Waterloo Station (Bakerloo, Northern, Waterloo and City and Jubilee lines). Bell – The largest bell inside the Queen Elizabeth II Tower is colloquially known as Big Ben. Strictly speaking, the name of the bell is The Great Bell, but Big Ben is the name used the world over (even by those of us who know better!). Why Big Ben? Nobody knows exactly for sure but there are two likely sources: Perhaps it is in reference to Benjamin Hall, an MP who oversaw the installation of the Great Bell and was a rather rotund figure. Or maybe it is named after Benjamin Caunt, an English heavyweight boxing champion who was often known as Big Ben himself. This mystery will most likely never be solved!